There are many ways you can continue enjoying the herbs from your garden all winter long– eight ways are described here. You can also learn other ways to use herbs in a workshop called “Herbal Remedies for the Winter Months” to be held from 5:30 to 7 p.m. Thursday, Oct. 26 by Cornell Cooperative Extension of Allegany County at the office at 5435A County Road 48, Belmont. 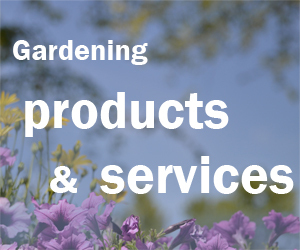 Join Cooperative Extension educator Colleen Cavagna and Master Gardener Deb MacCrea for a workshop about the use of homemade herbal remedies including immune-boosting syrups, cough syrups, chest rubs, decongestants, teas and foot rubs. Participants will make some recipes and sample others. For more information, contact Colleen Cavagna at cc746@cornell.edu or 585-268-7644, ext. 12. Here are eight ways to preserve herbs. You can dig up your garden herbs, plant them in pots and bring them inside on a sunny window sill. Rosemary does not overwinter in our area, but will do well inside. If you want to bring herbs inside, do it soon. At the first frost in your outdoor herb garden, basil will turn black and die. You can also start herbs from seed in the house. Try parsley, cilantro, basil or marjoram. Mid-morning is the best time to pick your herbs because the dew has had a chance to evaporate. If you wait until later, the heat of the day has sapped the plant. You can wash and gently dry the herbs. I usually do not because I grow my herbs organically, but you can. My grandmother used to hang herbs in the attic where it was dry and dark. I do not have an attic, but I have an upstairs hall without windows where I set up a clothes drying rack with a sheet underneath to catch any fragments that drop. A dark place keeps the color bright. If you don’t have a dark place, you can take a brown paper lunch bag, cut some slits in it for air circulation and place the herbs inside. Close the neck of the bag with a rubber band. 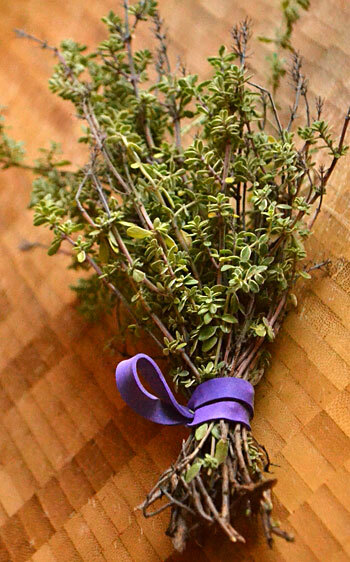 To hang the herbs in a dark area, place the stems in small bundles, leaving plenty of room for air circulation. I use a rubber band placed under the bundle. I bring the loops up, then insert one loop into the other. I hang the bundles on the rack using either an opened paper clip or a clothes pin. What about string? I used to use that, but as the stems dry and shrink, the string remains the same size. Partially dried plant material falls on the floor. You will need to check the herbs every few days to see how they are drying. Herbs with thick leaves, such as rosemary, will take longer than something like cilantro. Drying can also be accomplished in the microwave. Be sure the herbs are dry and place them between two layers of toweling. Set the microwave on medium for 30-second intervals and check to see if the herbs are dry. This will not take very long and if you do not check carefully you can scorch the herbs very easily. For toweling, I use cotton handkerchiefs or pieces of dish towels. I tried this with paper towels and had a memorable experience. After one round of microwave drying, the paper towel burst into flames! Apparently some brands have some metal fibers in them, which is also why you should not clean your glasses with paper towels. Rather than research which brands of towels were safe, I just do not use them for this. Another way is solar drying. Temperatures need to be warm with low humidity for this method, about 100 degrees Fahrenheit and less than 60 percent humidity. You spread the herbs out on a screen, but not in direct sunlight or the color will fade. The screens make it simple to bring them in at night. You can also dry herbs under the windshield or back window of your car on screens on a hot day. You can use the refrigerator for drying. Just put the unwrapped herbs in the fridge and leave them alone. They will retain color and texture this way. Check daily to determine if they are dry. One problem with this method is that you will not be able to dry many herbs at a time. Another problem is that sometimes the refrigerator is too moist and the herbs mold instead of drying. You can purchase a dehydrator. You can dry large quantities of herbs in a short time, 24 hours or less on some herbs and two or more days with herbs that are moister and/or thicker skinned. Each dehydrator will have instructions on temperatures that are best for herbs, fruits, meats, etc. Herbs are usually dried in a dehydrator at 95 – 105 degrees Fahrenheit. There are relatively inexpensive dehydrators for the beginner (below $100). Using an oven for drying herbs is not very cost effective or energy efficient. Oven temperatures should be about 100 degrees for this and most ovens cannot be set that low. Drying herbs also need air circulation, so if the oven does not have vents, there will be little circulation available. If you want to try this method, get an oven thermometer to see how low the temperature will go. You can also prop the door open with a stick or wooden spoon to allow some air circulation. You will need to check the herbs frequently to prevent burning. I have never tried this method because I do not turn the oven on in the summer—too hot! Herbs can be chopped and frozen in a small amount of water in an ice cube tray. When solid, remove the cubes and store in a freezer bag. Don’t forget to label the bags with the herb name and date of freezing. These cubes can be added to soups or stews— no defrosting is necessary. A friend of mine freezes the stems of parsley separately and uses them to make stock, removing the stems when finished. You will have the fresh taste of herbs in the winter without the cost of store-bought ones. Another method is to add the chopped herbs of your choice to softened butter. You can form the herb butter into a roll using parchment and freeze it. Slice off just the amount you want to use on steaks or chops, just like in the fancy restaurants. You can also place the butter/herb mixture into ice cube trays and freeze as above. When you are sautéing something, just put the frozen cube or slice into the skillet, allow a few extra minutes for it to melt, and then proceed with sautéing. I now avoid alll methods which involve drying herbs because so many volatile oils (which gives them taste and fragrance) are lost. Instead I spread clean prepared herbs on sheets of aluminum foil. I roll up the foil tightly and attach a label . (Don’t stick a label onto the foil as it will fall off in the freezer!) You can unroll the foil and simply remove what you need. The foil is reusable. You can process a lot of herbs this way in a short period of time. And no….your basil will not turn black when frozen in this manner! Carol Ann, thanks for that great tip!